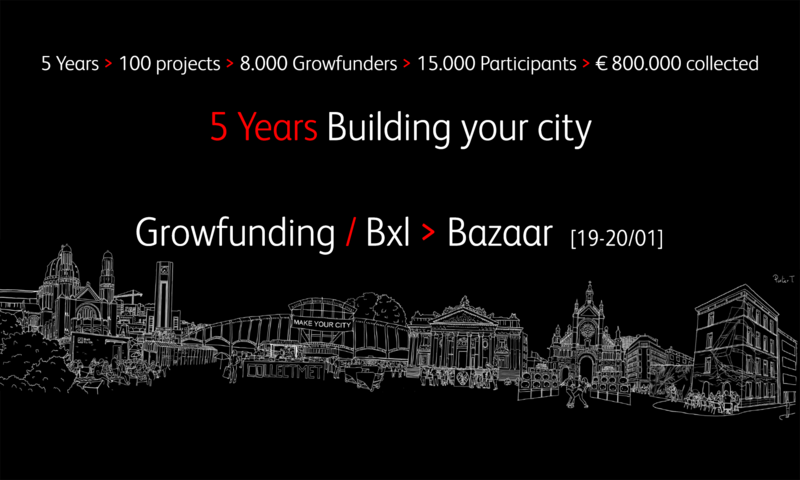 Which kind of urbanity is created through civic crowdfunding on the long term? What are the characteristics of this city? And what are the pre-conditions to create this city? How democratic is this city? What is the role of the local government(s) and local business communities? Together with experts from the other urban civic crowdfunding platforms, academia, policy makers and activists, we’ll try to put civic crowdfunding on the policy and research agenda. Na een dag vol debat en uitwisseling, tonen de beste growfunding het t(alent van de Brusselse jongeren: de drummers van de Fanafkids, de hip hop danser de Slayers, en de beste DJ’s van Jeugdhuis DAR. Klik op de links op je tickets te kopen (de opbrengst van de ticketverkoop gaat naar hun project).